US$7.5 million given to 929 Fellows from 65 countries. following year. In 1964, the scholarships became fellowships to make the award more specific. 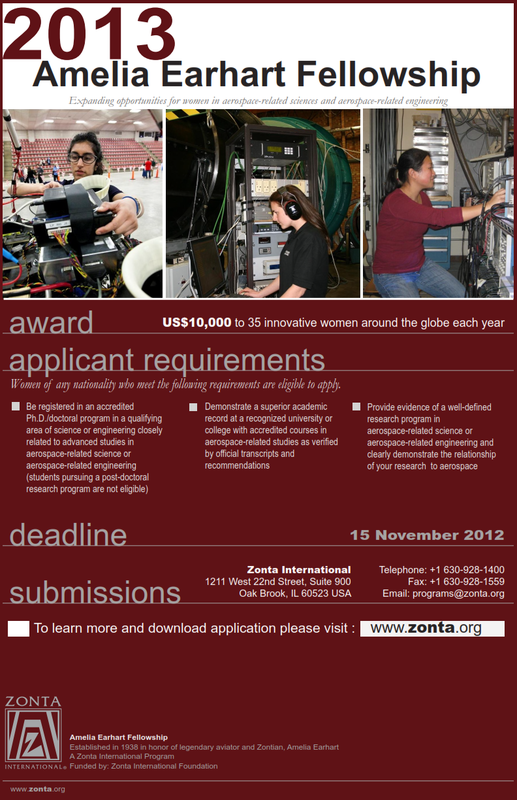 How Does the Program Support Zonta’s Mission to Advance the Status of Women? and worked as mentors with potential applicants to help them become qualified for the awards. from respected professors and professionals who are past Fellows themselves. How Many Fellows are Chosen on an Annual Basis? Since 1996, 35-40 awards have been given to Fellows around the globe each year. How are the Fellows Chosen? Committee acting on its behalf) for approval. application and evaluation procedures as first-time applicants. attend a District Conference (or some other high profile Zonta event) to make a presentation. President present the items at a local event. Fellowships must be received or post-marked by 15 November 2011 to be considered.